National and International Private Investigator Day is July 24, also the birthdate of Eugene Francois Vidocq, recognized as the first private eye. 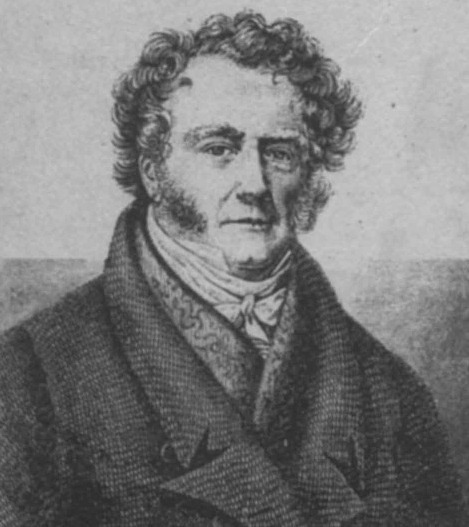 In 1833 Eugene Francois Vidocq, a French ex-criminal, founded one of the first private detective agencies, Le bureau des renseignments (Office of Intelligence) where he oversaw the work of other detectives, many ex-criminals such as himself. He is credited with having introduced record-keeping, criminology, and ballistics to criminal investigation. He also created indelible ink and unalterable bond paper with his printing company. Apparently, he had an altruistic bent as he claimed he never informed on anyone who had stolen for real need. With Vidocq, the private investigator was born. As the industry evolved, clients often hired PIs to act in law enforcement capacities, especially in matters for which they were not equipped or willing to do. This led to PI agencies sometimes performing like private militia and assisting companies in labor disputes. 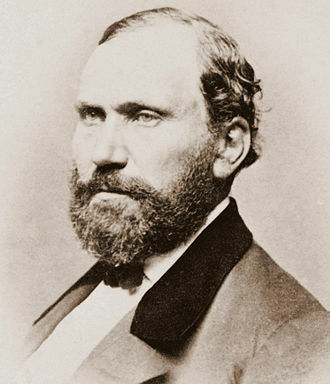 Allan Pinkerton was born in Glasgow, Scotland, on August 25, 1819, and emigrated to the United States in 1842, where he founded a barrel-making shop in Dundee, forty miles outside Chicago. As an abolitionist, he set up his shop to also be a station for slaves escaping via the “underground railroad” for freedom in the northern states. After his work helping bust up a counterfeit ring, the Cook County sheriff offered Pinkerton a job as an investigator in Chicago. Within a few years, he accumulated more arrests for burglaries and murders than any of the other police officers within the department. He also gained a reputation for being fearless, having an iron-clad integrity and the ability to quickly read people. Apprise clients on an ongoing basis. It’s remarkable how many of the above ethical standards are mirrored in many PIs’ standards today (such as regularly apprising clients, partnering with law enforcement, and raising fees only with clients’ knowledge). It’s also amusing to read how Pinkerton’s men refused divorce cases considering today many PIs specialize in marital investigations. Besides being an outstanding investigator, Pinkerton was also a master promoter of his agency. He made sure news of his investigators’ successes at catching murderers and thieves became newspaper stories. He also crafted a logo, an eye surrounded with the words “We Never Sleep,” the motto of his agency, and posted it in magazines, circulars, newspapers, billboards, and even wanted posters. In 1856, Pinkerton hired Kate Warne as his first female investigator, which was highly unusual at the time. According to the Pinkerton website, police departments did not hire women to join their ranks until 1891, nor did they get promoted to be investigators until 1903. There is little biographical information known about Kate Warne, although some sources claim she was born in 1833 in New York, and was a widow with no children. 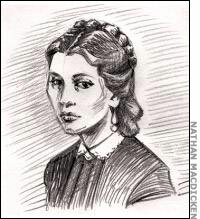 Allan Pinkerton described her as a slender, brown-haired woman who, in 1856, responded to an ad for detectives at the Pinkerton National Detective Agency. Pinkerton presumed she was there to inquire about a clerical job. Later, he said that she demanded to be a private detective, and that he eventually hired her for that role on August 23, 1856. By 1860, Pinkerton had hired several more women to be detectives, calling them his “Female Detective Bureau” which was supervised by Warne. Lynn H. Levy, owner and president of L.H. Levy Investigations, Inc., in Baltimore is currently writing a book about ten female investigators, including Kate Warne. In her research, Levy dug through 72 boxes in the Pinkerton archives at the Library of Congress, but due to a fire at the Pinkerton offices years before (likely the result of the Chicago fire in 1871), there was very little information about the agency in the 1850s. In 1861, Kate Warne helped foil an assassination attempt on President-elect Abraham Lincoln on his travels to Washington, D.C. for his inauguration. According to the Central Intelligence Agency’s article “Saving Mr. Lincoln,” Warne accompanied Pinkerton and four other operatives from his agency to Baltimore where Pinkerton had heard a plot to assassinate Lincoln would take place. According to other sources, she both helped to coordinate the operatives as well as to devise a strategy for getting Lincoln safely from Baltimore to Washington, D.C.
Pinkerton’s brother Robert wasn’t happy with Kate Warne’s agency expenses as he believed they included funds his brother diverted for gifts and travels with Kate as his mistress. Pinkerton never confirmed such a relationship. Nor is there any documentation written by Kate, not even a letter, to offer any of her insights about her life. In 1868, Kate fell ill, and Pinkerton stayed by her side, nursing her, until she died. Some say she suffered from pneumonia and that her death was sudden, other sources say it was a lengthy, painful illness that is unknown. Pinkerton had her buried in his family plot at Graceland Cemetery in Chicago, with a spot reserved next to her for him when he died. In his will decades later, he dictated that Kate’s plot was never to be sold. They remain buried next to each other to this day. By the 1920s, due to the expanding middle class in America, the private investigator became better known to the average citizen. Since then, the PI industry has continued to grow as it fills the needs of the public (who retain PIs to work on cases like infidelity, fraud, and criminal defense investigations). Licensing requirements, with criteria a PI must meet, have also been regulated in most states in the U.S.
Additionally, professional organizations (regional, national, and international) combined with good business practices have cast the PI career in a more respected light versus its outdated, fictional reputation as the wrinkled trench coat, fallen-from-grace Sam Spade figure found in books and film. Writing a Female Private Eye Character? This List Is for You! Half of the Writing PIs, Colleen, learned recently that she’s ranked #3 on a list of 70 influential female private investigators in the industry and on Twitter. She’s honored for the mention. Writing a Female PI Character? Posted in History of the PI, Private Eyes in the News, Secrets of a Real-Life Female Female Private Eye | Tagged: List of 70 Most Influential Female Private Eyes, real-life female private eyes, Secrets of a Real-Life Female Private Eye by Colleen Collins, women private detectives | Comments Off on Writing a Female Private Eye Character? This List Is for You!